You can easily Make the Most of Your Auto Dealer Website Content with the right tips that can help enhance it. Bad content will not help you out even when you are constantly having updated content. These tips can help your dealer’s content stand out even more to help draw more attention to your site and dealer. If you have plenty of content on your dealer’s website but not seeing much of an improvement in leads, there could be some key things that your content is missing. If you want to Make the Most of Your Auto Dealer Website Content, following these steps can help enhance your content. The biggest thing with content is you want to have unique content as much as possible. Having recycled content will not show up high on search engines as it is not unique and does not stand out as much. Besides unique content, you also want to post new content consistently. New content is always a must. When it comes to the content itself, the keywords need to stand out and it is best they line up with what people search for. That is why including locations in your keywords is ideal as most people search proximity. Also, you want to always include internal links in your content. These links should take the reader directly to the page that the content is talking about. For example, if you are talking about a new model vehicle, the links should go straight to the vehicle in inventory. This makes things even easier for them. 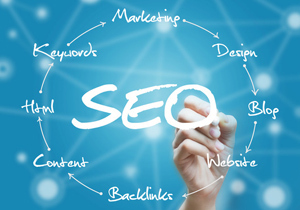 Quality content for your site is highly beneficial as it is one of the top ways to bring new leads and potential customers over to your site. When someone is looking for a new car that you have, you want to be able to pull them over and this is a great way to do so. Plus, the content you post is highly informative giving the reader more information on the vehicle or service they are seeking. Here at Content Motive, we offer plenty of unique ways to offer the best content for your website. We will Make the Most of Your Auto Dealer Website Content. We also offer many different services but every single one has the same goal, to help draw more attention to your dealership and your brand. If you have any questions, you can easily contact us at 877-622-2291.